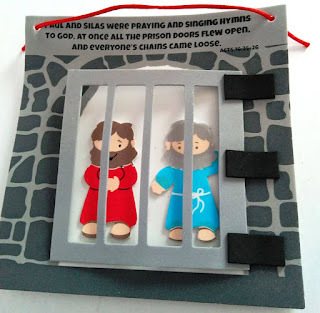 Bible lessons are so much more fun with crafts! 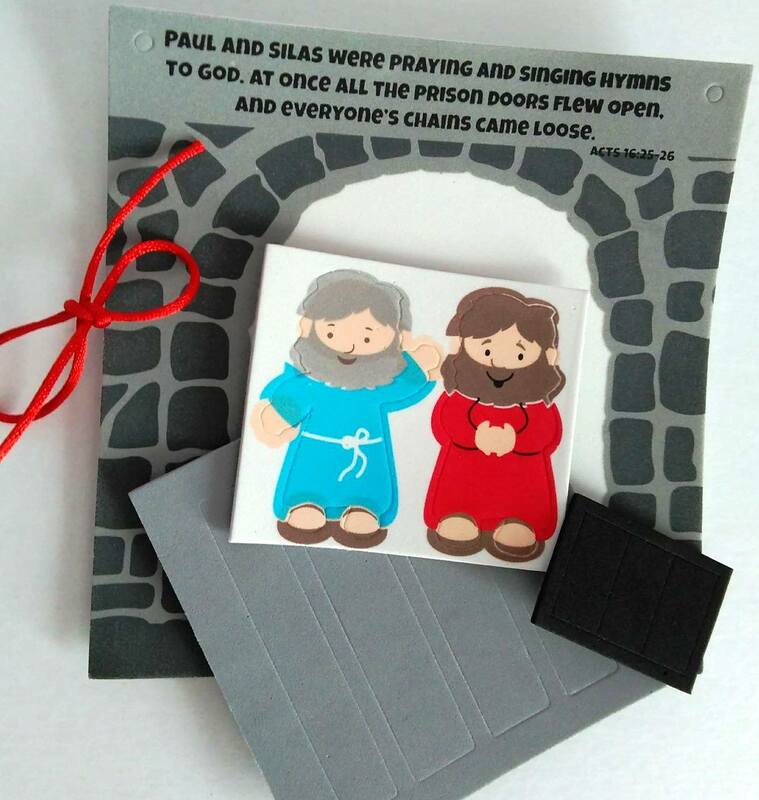 Featuring the motto Paul and Silas were praying and singing hymns to God. At once all the prison doors flew open, and everyone's chains came loose. Acts 16:25-26 this craft depicts Paul and Silas in prison and how God saved them. The prison door even opens!